We have a full-fledged outsourcing wing that takes care of the application requirements of our overseas clients. Many member of the i2Space pool of talented professionals in the outsourcing wing have already worked with Global Fortune-500 clients�. They understand their work culture and their expectations well. In past we have executed projects basically on Microsoft Technologies for US, Australia, Europe and Africa based clients. 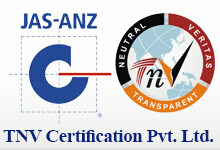 Though a young company, as far as process is concerned we are an ISO certified service provider. We are a now strictly following model defined by CMM to achieve CMM certification soon.